Chaos erupted on Youngstown State University’s campus at 11:07 a.m. when a call came into the YSU Police Department regarding an altercation that allegedly resulted in a suspect pulling a gun on the victim. Due to the nature of the claim, YSUPD took precautions and placed the entire campus on lockdown. 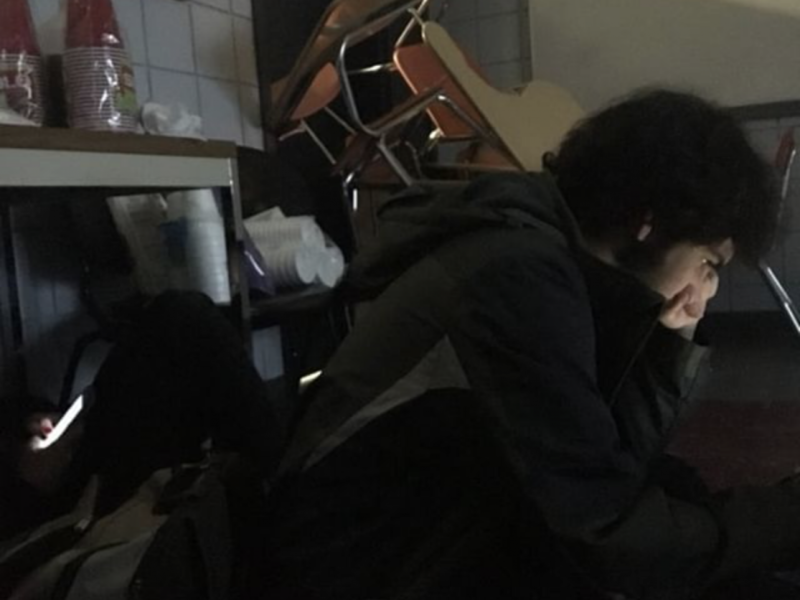 The lockdown lasted roughly two hours, with students and faculty hunkering down in classrooms and other secure locations around campus. However, some of the YSU community argue supposedly “secure” locations were not fully secure and resulted in panic throughout YSU. 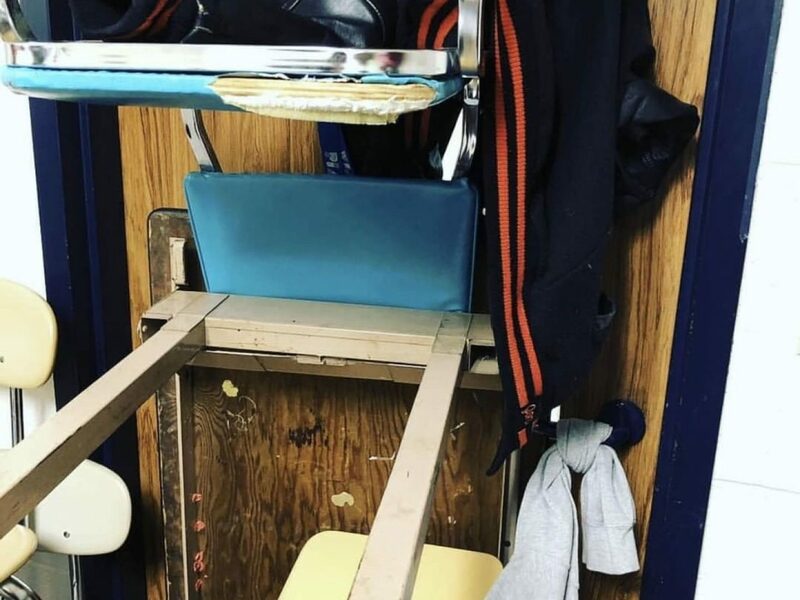 Students took to social media to voice their concerns and share photos of attempts to secure the doors of their classrooms. Many photos displayed various ways they kept their doors secure, including barricading the entryways and doors with desks and chairs and tying the door handle with jackets, belts and shoelaces. 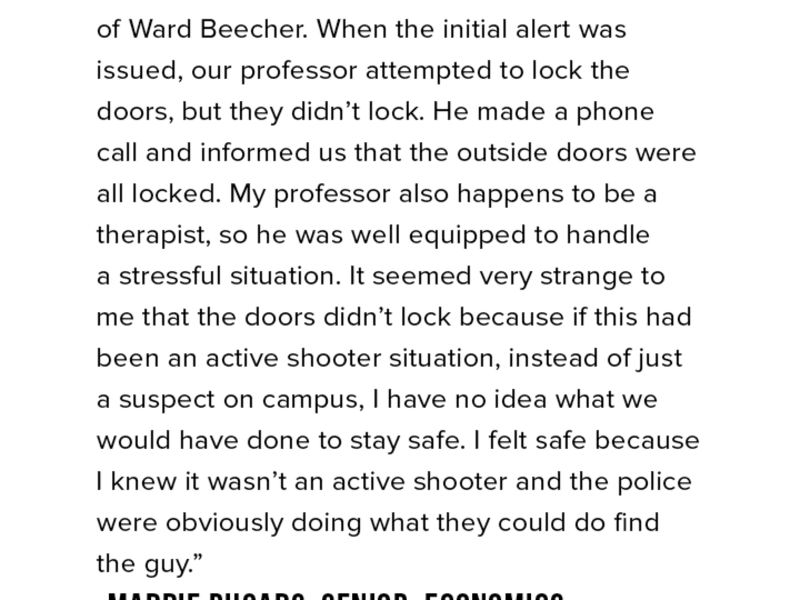 The main issue a majority of students and faculty reported was that some doors did not have locks on the inside, some professors did not have access to a key and the doors opened outwards rather than inwards creating a major safety issue for those seeking safety during the lockdown. Students in the Williamson College of Business Administration were moved to the auditorium during the lockdown. Nathan Rein, junior finance major, reported he witnessed no one checking classrooms to ensure all students and faculty were evacuated safely into the auditorium. 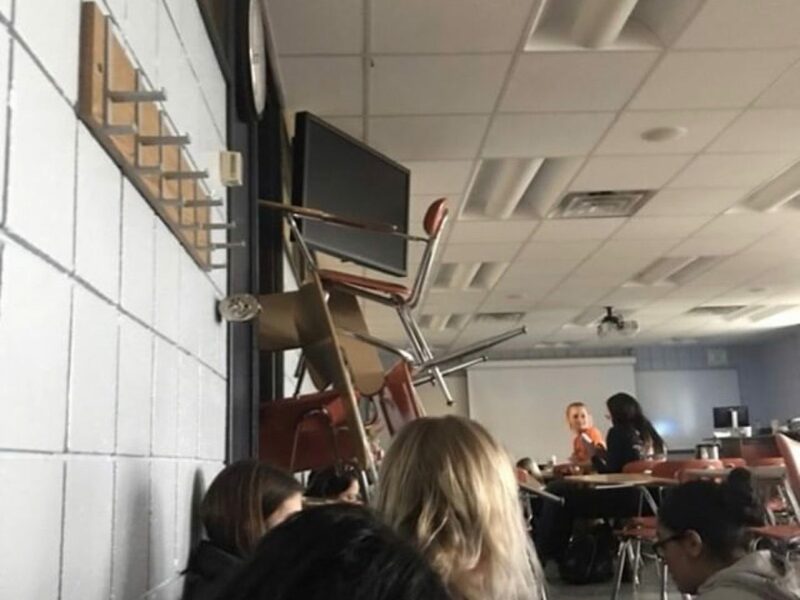 “Me and one other kid in my class were in the room for a while before I heard people had been moved to the auditorium, and on my way there I noticed there were still a person in a classroom or two. So, that definitely could have been handled better,” he said. Rein admitted he did feel safe during the situation on Monday and thought the university gave their best effort, but the Penguin Alert System could use some improvements when it comes to sending the alert faster and more efficiently. 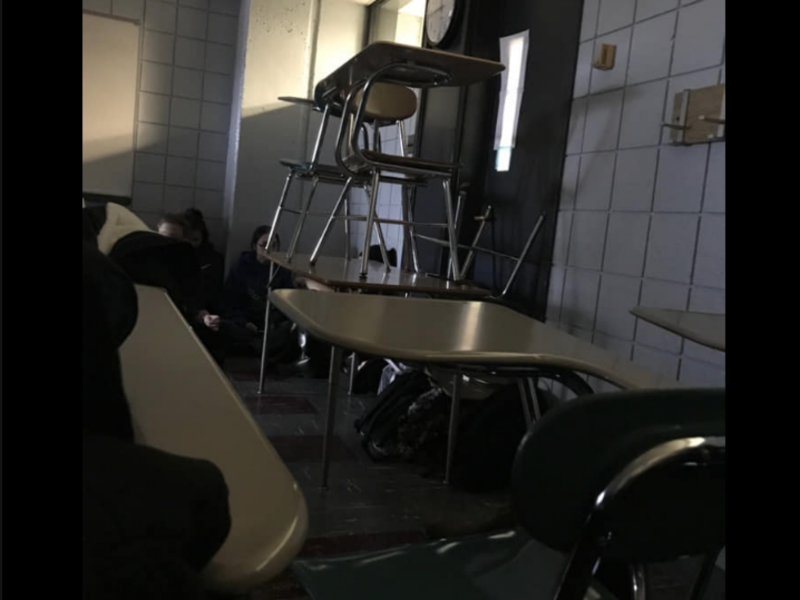 Ashley Minniti, a photographer from Girard with relatives who attend YSU, wrote on Facebook her brother and cousins were safe but experiencing issues securing doors in their classrooms. Isabella Orr, sophomore math education major, said both of her parents are Warren City School teachers and have to go through mandatory active shooter and lockdown training every year, while the ALICE (Alert, Lockdown, Inform, Counter, Evacuate) training is entirely optional to professors at YSU. 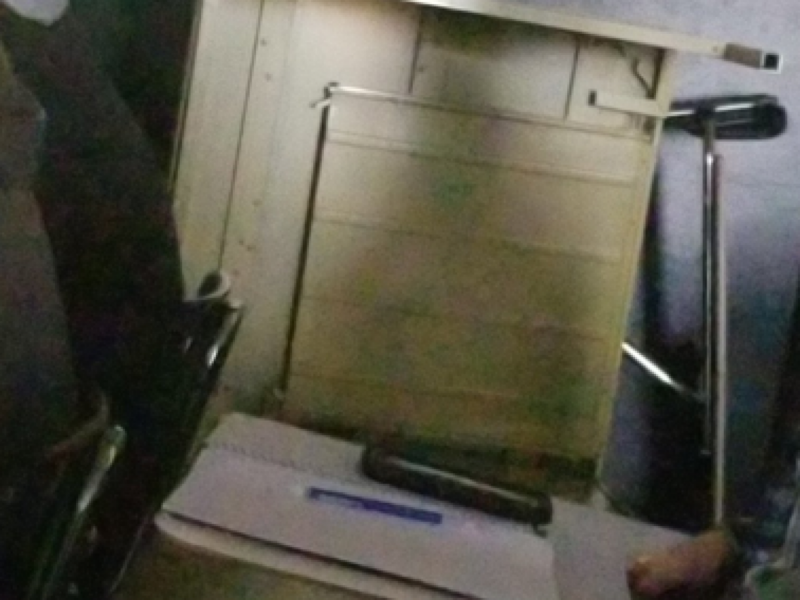 Orr said she was in Lincoln Hall when the lockdown occurred and the door to her classroom could not be locked and opened outward, making it nearly impossible to barricade the entryway. 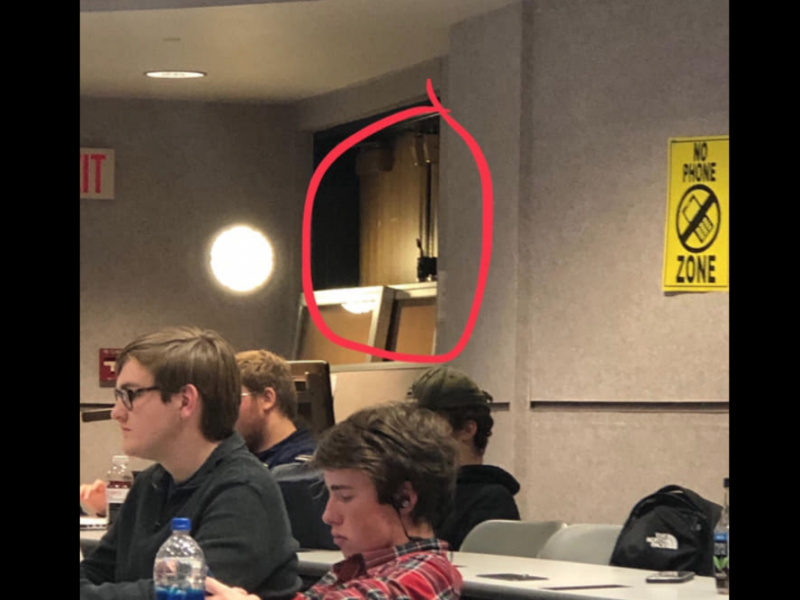 Eventually, her class was told an hour and a half into the lockdown the main doors to the building were not locking, so they were subsequently ushered them to another location in Lincoln Hall that could be locked. “YSU needs to implement procedures and update their buildings. I was truly scared today, and it was honestly one of the worst ways to handle this situation. We were all sitting ducks,” she said. Halle Van Scoy, a finance major at YSU, said some students were not scared during the lockdown. 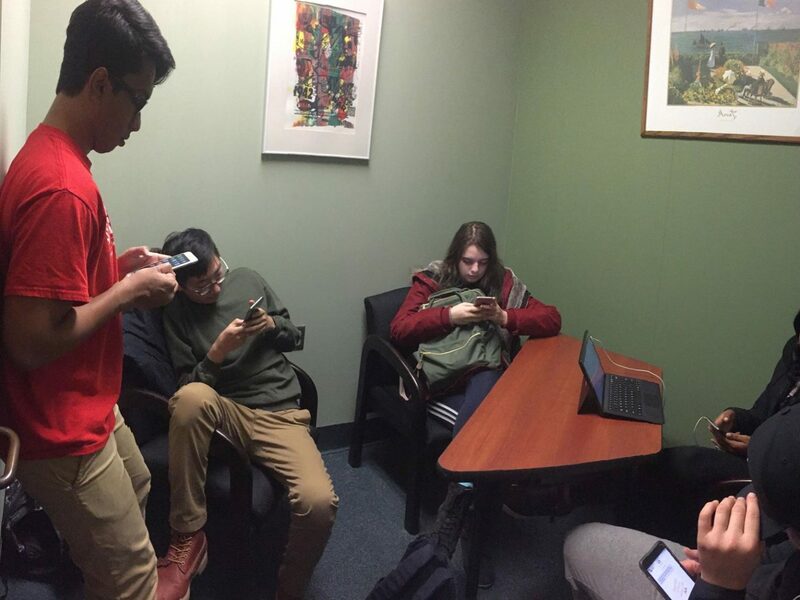 Students weren’t the only ones taking to social media to voice their issues during the lockdown. 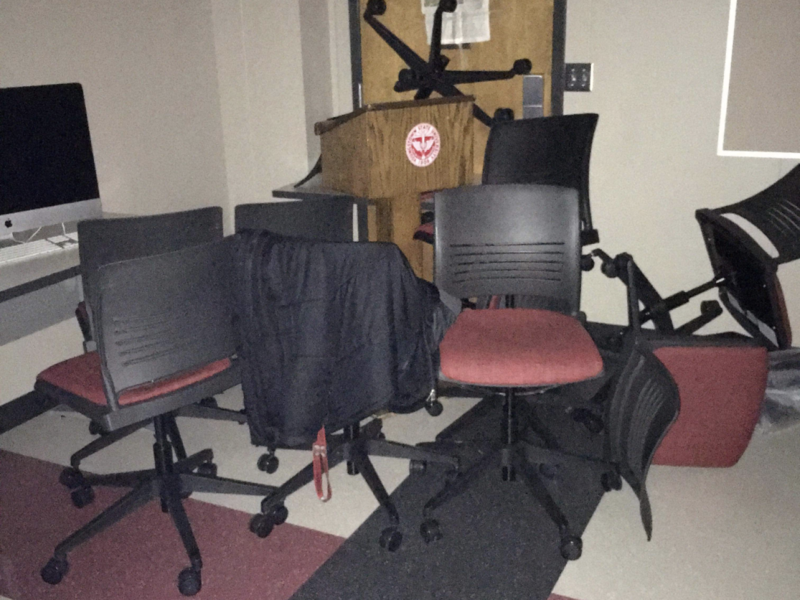 Rachel Faerber-Ovaska, part-time French and German instructor, wrote on Facebook her door in DeBartolo Hall had no lock on the inside, so she and her class had to improvise in order to secure the room. 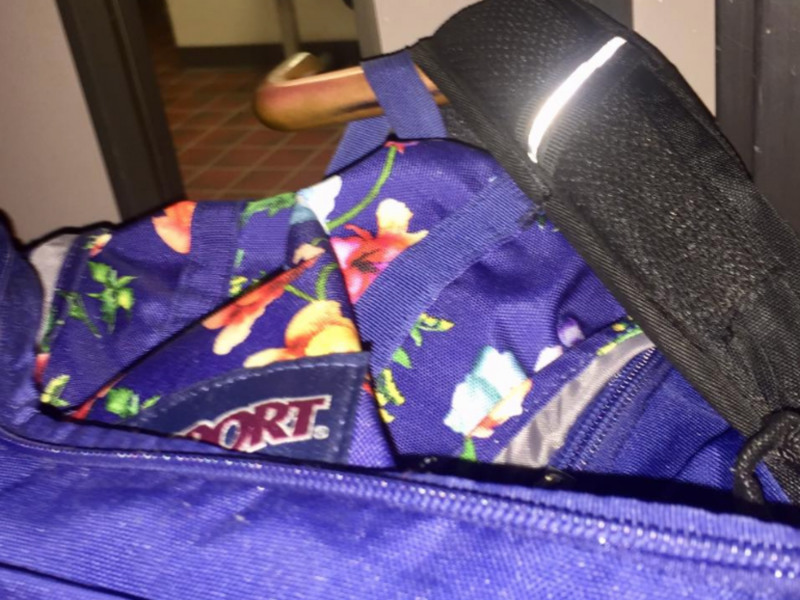 “The class put backpack straps on the door handle and we held on to the backpacks for an hour or so while sitting on the floor of the darkened classroom,” Faerber-Ovaska said. Diana Palardy, associate professor of Spanish, said there was no lock on hers or her colleague’s classroom doors. She added another fellow professor resorted to running down the hallway in DeBartolo Hall to find a secure location. 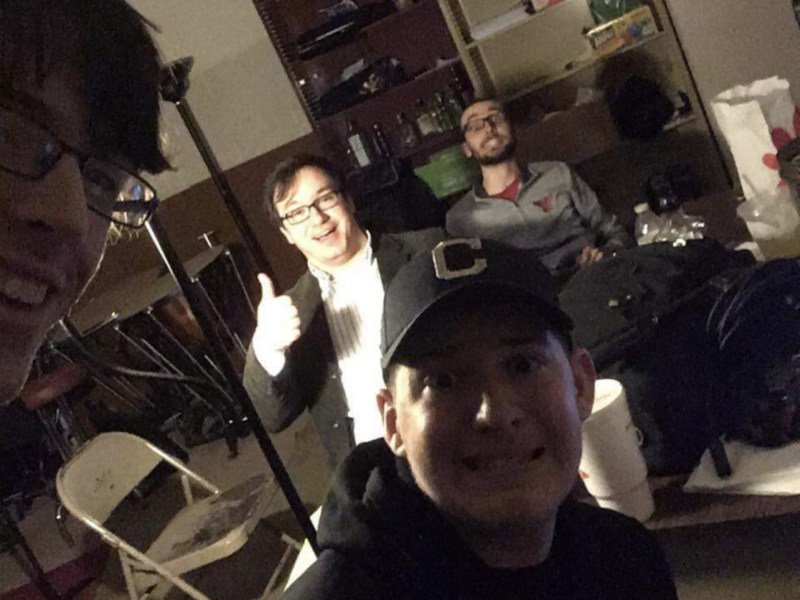 Some students posted on social media their professors had little to no idea what to do during the university lockdown, and opted to ask their students what to do or decided to release their class to go home despite university officials and YSUPD orders. Not every professor was unprepared during the situation. 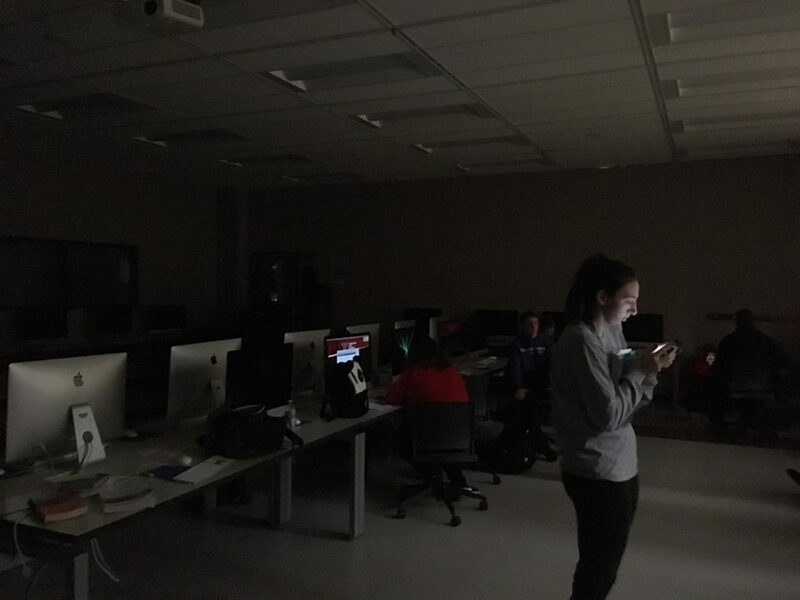 Multiple students from part-time journalism professor Michele Gatts’ class recalled her jumping right into action as soon as the lockdown was initiated on campus. “Everything I’d learned in the ALICE class clicked into place. I wasn’t even afraid, truthfully, but I felt a sense of urgency,” she said. 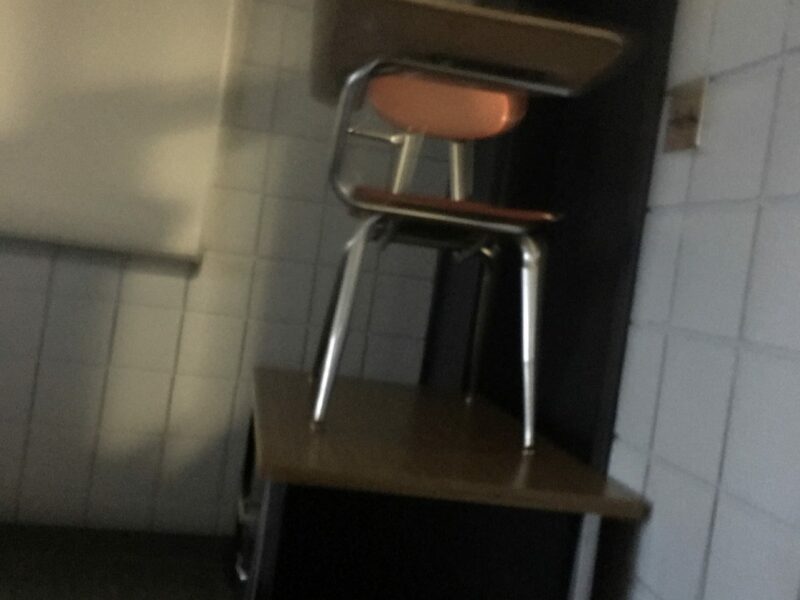 Gatts said as soon as a student announced to the class the university was on lockdown, she instructed her students to set up a barricade consisting of chairs, a lectern and a table, while she told others to tape newspapers she had in her bag over the window on the door. 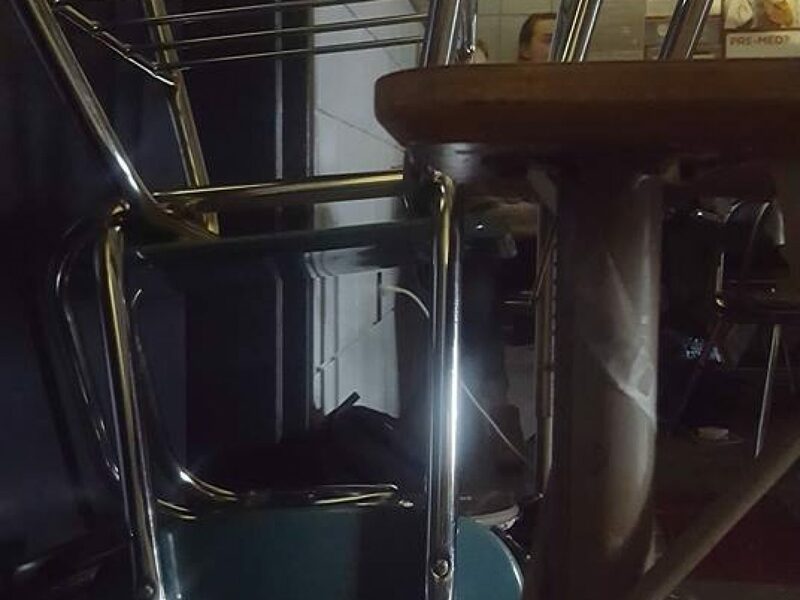 She had students pull down the blinds in the room and shut off computers to reduce light, while she ushered in students from the neighboring computer lab into her classroom. 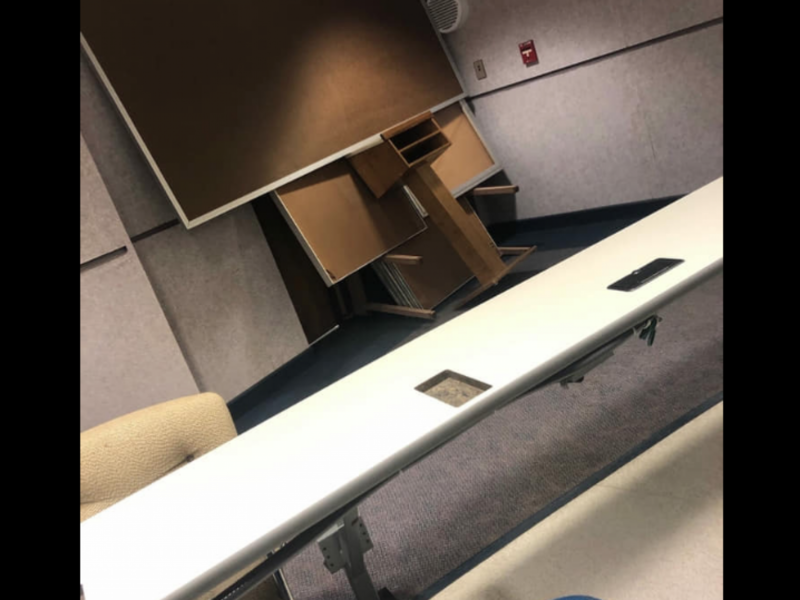 Gatts also said she instructed students to be prepared to throw objects at the intruder in the case they broke through the barricade. “Some students were very shaken, and I did my best to calm them. I wasn’t going to and wouldn’t ever let anyone harm my students,” she said. Gatts attributes her preparedness to her ALICE training provided by the YSUPD she took in the fall of 2015, and said she continually reviews it with herself and her students each semester. Despite YSU’s best efforts to resolve the potential armed suspect situation quickly and smoothly, there were a few hiccups in the road. Multiple students took to social media with pictures of parking tickets they received during the lockdown. Many were quick to blame YSUPD and YSU Parking Services, despite neither of them having any involvement in the issue. 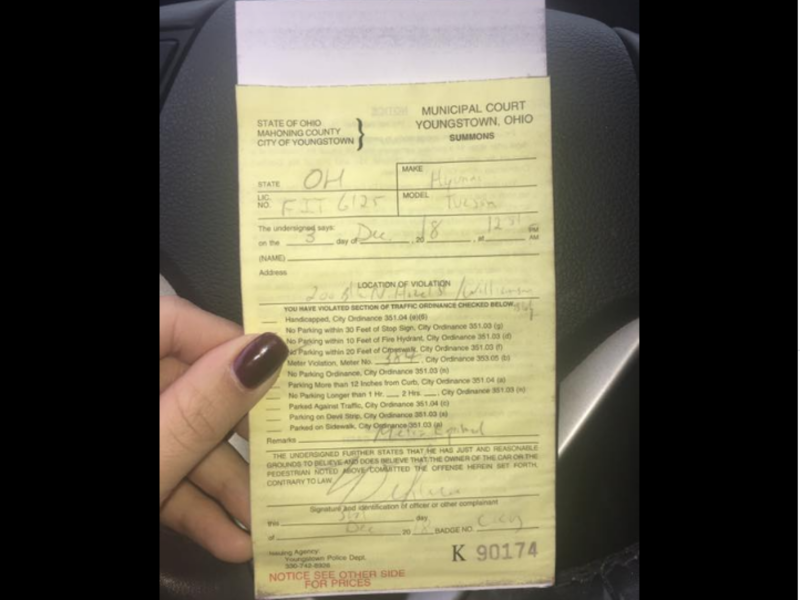 One student in particular, Chelsea Raymer, senior human resource management major, had her Facebook post go viral after she posted a picture of a parking ticket she had received while the campus was on lockdown. She added when she contacted the police station to get answers, she said the police claimed it was her fault for running out of time on the parking meter and to visit the station to fill out paperwork to request a hearing. “Unfortunately, during the lockdown yesterday, the contract folks we have that issued the parking tickets, who are not police officers, were unaware of the lockdown, so they continued to go their rounds,” Youngstown Police Chief Robin Lees said according to an article by WKBN. Those who received tickets from 11 a.m. to 2 p.m. are instructed to bring their ticket and YSU ID to the Youngstown Municipal Court Building, YSU Police Station or the Traffic Division on the second floor of the Youngstown Police Station to have the ticket resolved. Raymer’s story wasn’t the only post going viral on Facebook on Monday. Veronica Hall, junior communications major, wrote about her issue with finding shelter in Kilcawley House. Hall said she was in Chick-fil-A with her friends when the lockdown was initiated. They witnessed people running after everyone received the Penguin Alert. Hall and her friends proceeded to enter nearby Kilcawley House lobby where they saw other students rushing into. 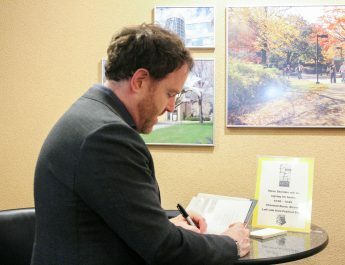 She said there were roughly 15 people in the lobby and the receptionist asked if they were all signing in with a resident. When the students proceeded to say no and they were just trying to find a secure place, the receptionist went into the back offices to ask. 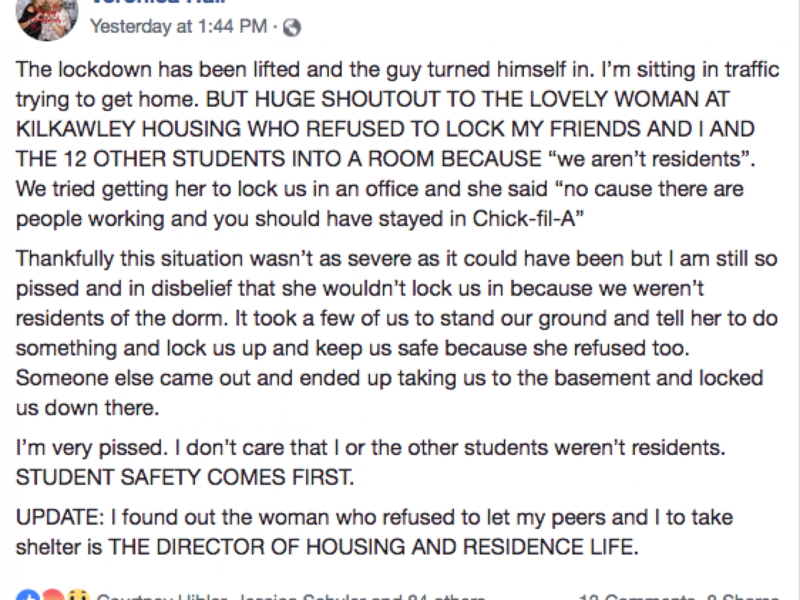 Hall added a few employees emerged from the back and one woman, who Hall claims is Kate Fitzgerald, director of Housing and Residence Life, refused to locate the students to a secure place. “She said we had to stay in the lobby where the door was still unlocked and people were able to get in and out. I asked her if there was an office or a back room that she could lock us all in because we didn’t feel safe and she said ‘No, you’re not residents and besides there’s no room for you back here. These are offices and people are trying to work,’” Hall said. The two argued briefly before the woman walked away, leaving the students to huddle in a corner of the lobby while the doors remained open. After speaking with a few other workers, Hall said one resident hall employee agreed to take the group of students to the basement if they signed in. “Residents or not, we are still students, in fact, human, and we were treated so terribly in a very stressful and scary situation. I did not feel prepared. 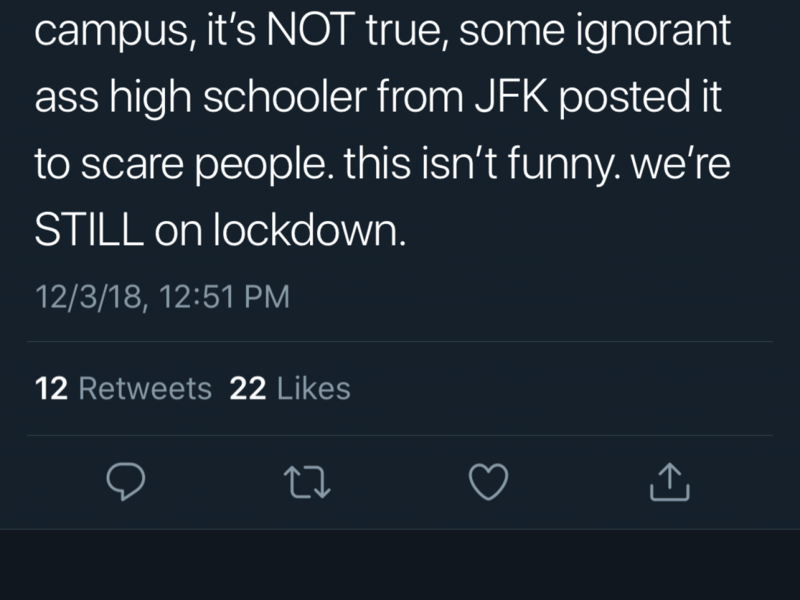 If I was in a classroom, yes I would have felt safer and more prepared, but I was just getting lunch with my friends and I had no idea where to go or what to do. I went to where I thought would be the safest place to go,” she said. Fitzgerald responded to the accusation by Hall and said the residence halls have a safety policy that prohibits anyone who is not a resident or a guest of a resident to enter the halls where the dorms are located. “During the lockdown — no one was turned away or kicked out of Kilcawley House. Nonresident students were given safety in the locked lobby area and within 10 minutes were escorted downstairs to wait out the lockdown in our lounges,” she said. During a 2:30 p.m. press briefing after the conclusion of the lockdown, YSU Police Chief Shawn Varso acknowledged not everything went according to plan procedure-wise, but was happy with the police response during the situation. He also said some doors in buildings around campus only lock if a professor has the key, while some don’t lock at all. “We’re going to take a look at what happened today, what went right today and anything we need to improve on,” Varso said. “I don’t doubt there was some hiccups … With situations like this you always look to improve it. Fortunately for us today, the incident turned out the way it did and I’d like to see this as something we can build upon. Following Varso, YSU President Jim Tressel thanked the YSUPD any other law enforcement agencies who worked together to resolve the firearm incident. “There are always teachable moments,” he said. Tressel said situations like the one on Monday are a great reminder to constantly encourage the YSU community to sign up for Penguin Alerts. “In order to fully address safety on campus, we hope to further our involvement in providing safety training to all students, faculty and staff. We are in the process of making connections to university officials to ensure that all members of our campus feel comfortable, and more importantly, prepared, to deal with dangerous situations,” the statement from SGA said. In a email to faculty members on Dec. 4, Interim Provost and Vice President of Academic Affairs Joseph Mosca thanked them for their response, but acknowledged the university was aware some faculty members were unprepared and ill-equipped for the incident on Monday. Mosca said the university plans on debriefing faculty on lockdown procedure do’s and don’ts. He also highly encouraged, but did not mandate, YSU faculty to attend ALICE training provided by YSUPD. He added the YSUPD and various college deans are coming together to develop a crisis plan to better equip staff to handle situations such as these. Eddie Howard, vice president of Student Affairs, sent an email out to YSU students addressing ways both the students can find help and how the university plans to improve itself for situations like the recent lockdown. “YSU is a family, and we are always here to support you when you need it,” he said. To sign up for the Penguin Alert System, visit https://ysu.edu/penguin-alert and if you wish to voice your opinion about the lockdown incident, fill out this survey.